The Commandant's Prize is awarded to the student who has contributed the most to life at the Defence Academy. 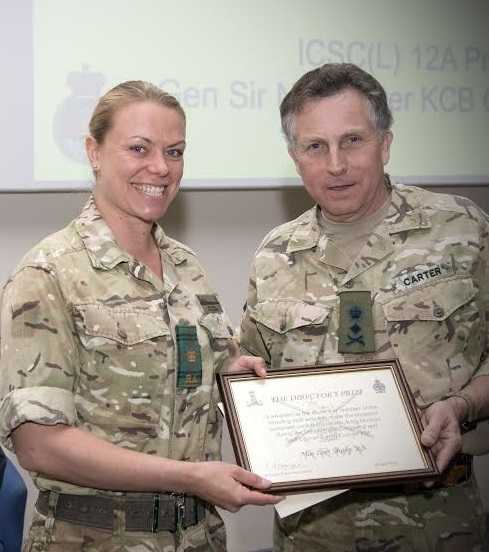 The award, a year's membership of RUSI, was presented by CGS to Major Lori Sharp RA. In addition to her studies, Maj Sharp found time to organise several social functions and sports teams as well as a ski trip for fellow students.